Detect torque of rotating objects. 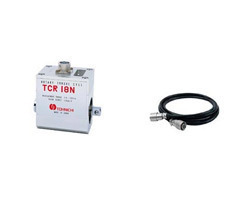 The body of TCR does not rotate because of slip ring mechanism system. Torque can directly be measured by setting TCR model between objects. Calibration can be executed by equivalent input or actual load methods. Not available for impact wrench. Torque input and output accept square drive.